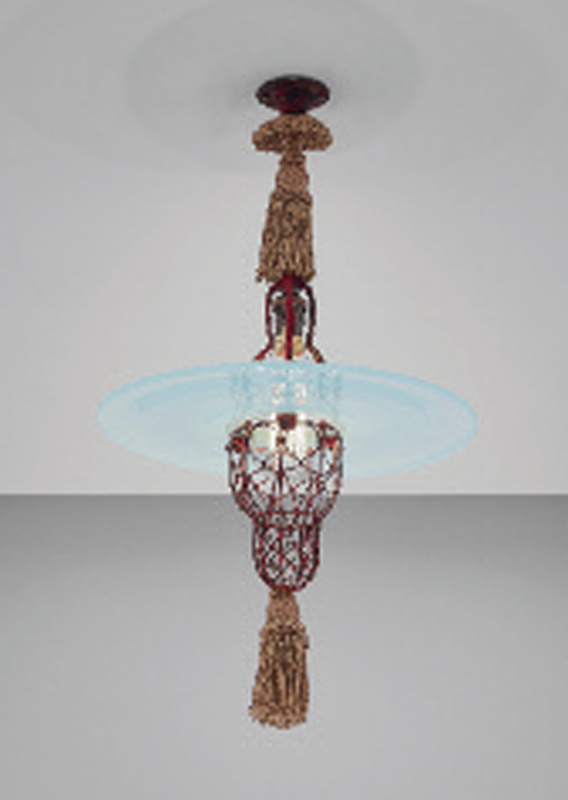 Last September saw two major auctions in which original Lutyens-designed furniture and lighting featured as lots. 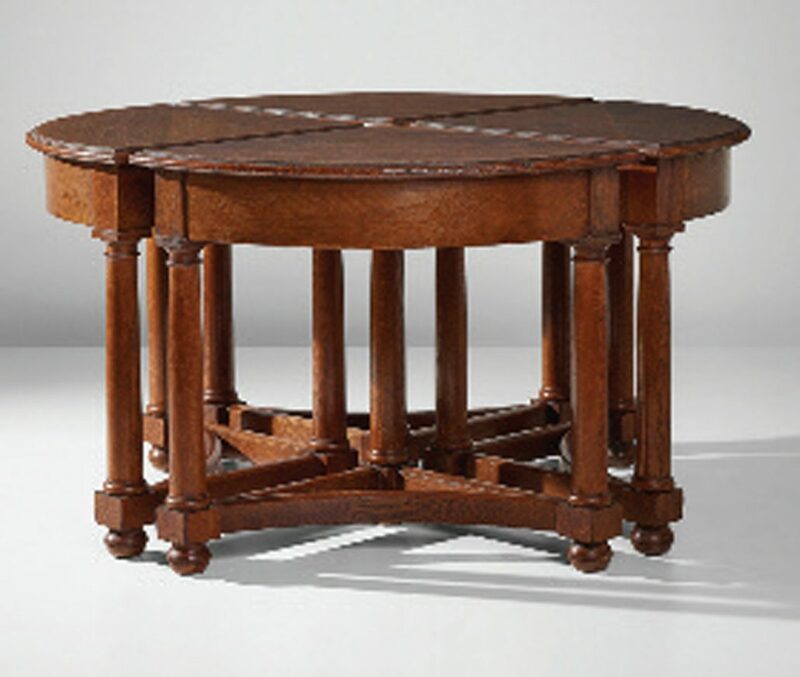 The first auction by Phillips in London included a wonderful version of Lutyens’s Marsh Court table (pictured), so-called because it came from the house of that name; it was first photographed by Country Life magazine in the dining room. The table bears all the hallmarks of a classic Lutyens design with its Tuscan column legs, curved stretchers and bun feet. It is wellknown that he loved modular table design and this quadrant example takes this concept further than my own company’s version, which comprises two semicircles with rectangular inserts. Personally, I love the thought of having a triangular occasional table in each corner of a room, which can be brought together to form one larger one when required. The table was estimated at £6,000 to £8,000 and sold for £20,000. The second important lot at Phillips was a very rare version of the Cardinal Hat light (pictured). It came to my certain knowledge, directly from another of Lutyens’s grandchildren, and is in great condition. Phillips took the wise step of restoring its rich passementerie to its original condition. However, the most interesting thing about the light is the unusual bell shape to the lower cage. I have seen original Cardinal Hat lights painted red before and this is a true Lutyens colour which my company offers, although people seldom ask for it. The light did spectacularly well given that – in my opinion – the guide price of £10,000 to £15,000 had been underestimated. In fact it turned into a hammer price of £37,500. At the same time Christie’s in New York held a sale of the estate of New York-based art and design collector Paul Walter (see our tribute to him in the Summer 2017 Newsletter). 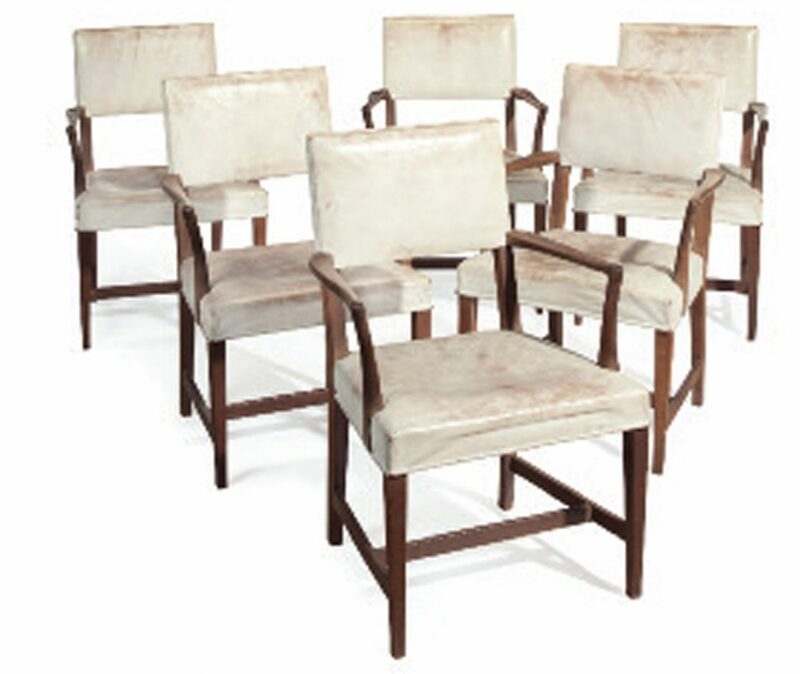 This included several pieces for sale including a set of 12 chairs designed by Edwin’s son Robert for his sister Barbara, which sold for $7,500 (pictured). 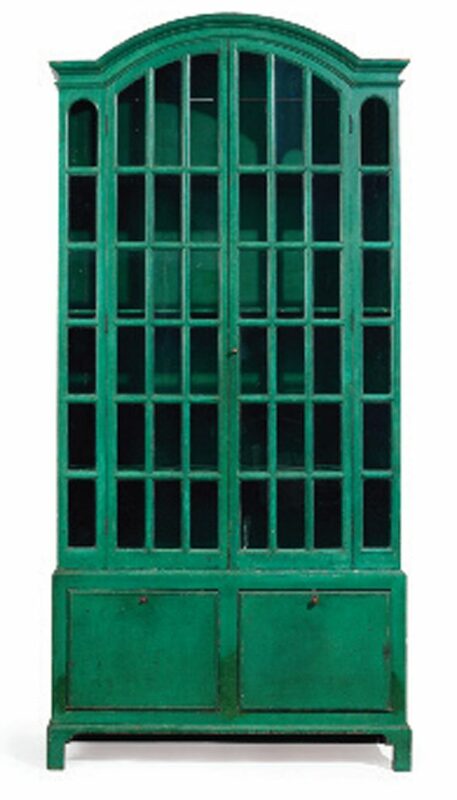 The most important lots were a jade green vitrine cabinet (pictured) with provenance dating to the Country Life Building in 1904/5 — one of Lutyens’s first London buildings — and a matching sideboard and serving table in his later, 1930s style with provenance back to the Lutyens family and reminiscent of similar pieces designed for New Delhi (pictured bottom). The hammer dropped on the vitrine cabinet — its guide price of $10,000 to $15,000 having also been significantly underestimated — at $40,000. The sideboard had a guide price of $3,000 to $5,000 but sold at $10,625, while the serving table was estimated at $2,000 to $3,000 but fetched $8,750. It’s quite rare for original Lutyens pieces to come to auction, so the success of these sales attests to his enduring popularity as a designer of furniture and lighting. I believe this is partly due to their quality and timelessness but also to his furniture and lighting offering buyers a small way to acquire a piece of “Lutyens” without the vast expense of owning one of his houses. On a different but related note, also on sale in September was a 1925 Rolls-Royce given to Lutyens by his close friend Lady Sackville (pictured). It was sold by Bonhams at Beaulieu for a hammer price of £32,000.